Looking for a classy way to get your name and information to people you want to do business with? Want to thank people who have done business with you in the past or have given you referrals? Think of your mailing list and then grab some envelopes so that you can send those on your contact list each a wine pairing magnet. The business card magnet wine pairing chart, 83 cents ea, min 500; 62 cents ea at 1000; 46 cents ea at 2500. Wine pairing chart with space at the top for you to peel and stick your own business card. 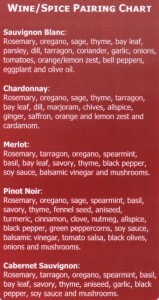 Reverse side has wine/spice pairing chart. Can be great for any business to have your name in front of your clients or potential clients. 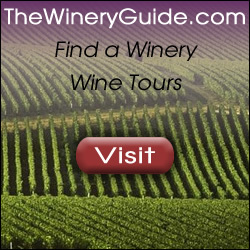 Ask for your free sample business card magnet wine pairing chart today. Or do the business card wine pairing magnet, Item #8002043, 3 x 8″ round corners 1.40 cents ea, min 100; 81 cents ea at 250; 63 cents ea at 500; 45 cents ea at 1000, 33 cents ea at 2500. No set up charges. 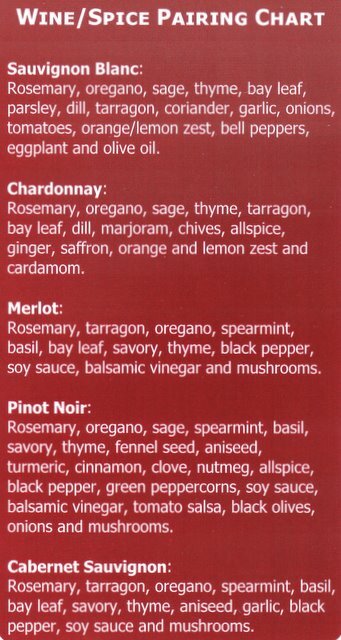 With your info imprinted at the bottom, this handy chart can be used when selecting wine or meal or event planning so that the wine and food go together the best they can. Can be either wine pairing or wine/spice only on full magnet version. Minimum is only 100 of the 3″ x 8″ magnets which will be on the refrigerator, one of the places you want to be in people’s lives (the other 2 are in their car or near their computer). The more you order, the more the price goes down. Imprint are is 2 x 3″ for your information.